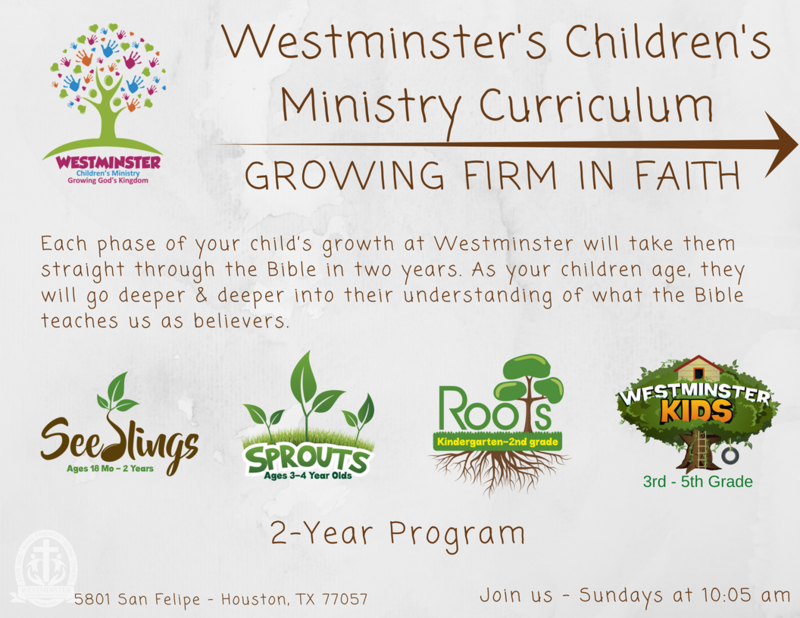 Here at Westminster UMC, there is a group perfectly fit for you! Our groups are always open to visitors and we invite you to try one or try them all! We offer a variety of groups. Some groups vary by age and stages of life, others vary by how they study the Bible. We have groups that study the Bible verse by verse and we have groups that are video based. You will find they all have lessons that can apply to your everyday life. We invite you to find a group you feel comfortable with and discover a meaningful life full of purpose in a community that appreciates you and will be with you as you grow in your Faith. For more information on adult studies, contact Kaisi Cunningham. Our Children's program is a dynamic program that helps our younger generation feel important and loved while they learn with age-appropriate faith journeys filled with fun and action. See below for more information. Meets Friday mornings at 6:15 am here in the Parlor for breakfast and bible study. ​Led by Mitch VerVoort & Jorge Vargas. Tuesday mornings from 9:15 - 10:45 a.m. Childcare is provided. Led by Kaisi Cunningham. Meet's in the Parlor Annex. Sisters of Christ: Meets in the church office conference room Sunday mornings at 10:05 am. No classes 4/21, 4/28, or 5/12. On May 5th, they will do a study on John 3:16 by Max Lucado in one day. McDaniel Class: We begin class with singing of hymns, followed by a study. This group is young-at-heart senior adults and is one of the first Sunday School classes formed at Westminster! (Meets in room A-108 Sunday mornings at 10:05 am. For more information on Adult Ministries, click here. ​SUMMER SERIES BEGINS - Rev. Meredith Mills will lead a church wide study in the Parlor on the Letter's of John Wesley. More Details to come. ​​SUMMER SERIES BEGINS - Rev. Meredith Mills will lead a church wide study in the Parlor on the Letter's of John Wesley. More Details to come. For more information on Young Adult Ministries, click here. Need access to Right Now Media? Click here. We have wonderful, loving leaders each week that lead our children on an age-appropriate faith journey filled with fun and action. This 2-year curriculum will send your child through the creation story. Leading them through the Bible front to back, twice. Roots: Kindergarten to 2nd Grade room A-100. ​For more information, contact Priscilla Aguilar. Millie Eads leads our students in Bible study through fun activities and fellowship. They meet upstairs over the fellowship hall. Josh Rodrigue, our new director of Youth Ministries will lead our older students in the new youth room. They will engage in studies that provide them with a strong foundation to be able to share their faith with others and stand firm in the face of temptation. Meets in NEW Youth room, A-107.